POLYQuik® CJF-CC is a two-component, self-leveling, 100% solids hybrid polyurea, control-joint filler designed to protect joints in industrial concrete floors subject to hard wheels and heavy loads. POLYQuik® CJF-CC provides excellent resistance to spalling, abrasion, chemical attack and corrosion. It is also ideal for filling random cracks. * 5 Gallons POLYQuik CJF-CC (ISO) required and purchased separately. The required companion ISO for this product: 5 Gallons POLYQuik CJF-CC (ISO). For smaller projects, POLYQuik CJF-CC Gray is available in convenient 600mL Dual Cartridge form for easy application. 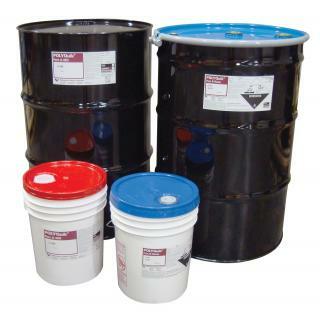 For large projects, POLYQuik® CJF-CC is available in bulk 100-Gallon Kits (50-Gal Resin, 50-Gal ISO).